How to prepare for Government Job Exam in India? : Are You Eligible For SBI PO Recruitment 2014 ? 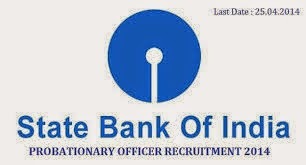 A few days ago SBI announced their Probationary Officer (PO) recruitment for the year 2014. Different from the previous PO recruitment eligibility criteria, SBI allows the final year and final semester students to apply for PO recruitment 2014. That raised some confusions in the eligibility criteria of latest SBI recruitment 2014. We are getting a lot of queries asking whether they are eligible or not, here in this post we will make it clear. Am I Eligible For SBI PO Recruitment 2014 ? Currently i’m in the final semester of my graduation, but my date of birth is 10/6/1994. Can i apply for SBI PO exam 2014 ?. No, you are not eligible to apply for SBI PO recruitment 2014 since the age should be between 21 – 30 as on 01-04-2014. That means the aspirants will be eligible only if they should have been born not earlier that 02-04-1984 and not later than 01-04-1993. And that is the reason why the year 1994 is not showing in the options list. There is no problems to apply, but if you are selected for the interview, you should submit the proof which shows you have successfully passed your degree course on or before 10-08-2014. You can apply, there is no minimum percentage for SBI PO 2014. If you are a graduate and within the specified age limit, you are eligible. My degree is by distance education, is that enough to apply for SBI recruitment 2014 ?.